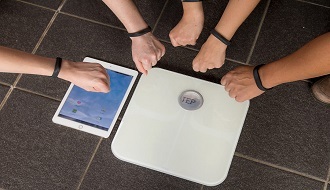 The Australian Institute of Health Innovation (AIHI) is a research-intensive institute located at Macquarie University. Proudly supported by the vibrant and rapidly growing Faculty of Medicine and Health Sciences, the Institute conducts world-class research to catalyse performance improvement in healthcare services and systems in Australia and internationally. AIHI conducts world-class research with relevance to national and international research communities, governments, policymakers, providers of health services, managers, clinicians, patients and the community. Our work underpins healthcare reforms and systems improvement and provides new technologies, perspectives and evidence. In our Annual Report, we proudly showcase our recent work. The Institute attracts highly skilled clinicians, scientists, engineers, epidemiologists, statisticians and analysts developing expert communities of practice, multi-disciplinary research teams and synergistic networking and co-authorship. AIHI's major sources of funding are the National Health and Medical Research Council (NHMRC), Macquarie University, the Australian Research Council (ARC) discovery and linkage grants, and commissioned research. AIHI conducts multidisciplinary research into health sector practices and organisation and management that directly enhances the delivery of high quality, safe, efficient and affordable healthcare. The emphasis is on translational research, and turning policy into practice. Understanding the relationship between health system complexity and health system performance. Healthcare reform and service innovation are the most pressing challenges to modern healthcare. Internationally, health systems struggle to keep up with demand, driven by modern technologies, changing consumer preferences and an ageing population, and hindered by a diminishing workforce. Leading thinkers now see the radical reinvention of healthcare delivery, exploiting innovations in systems design and technology, as the only way of creating a health system that is sustainable and meets the needs and expectations of the community. AIHI was established in December 2007 under Founding Director Professor Jeffrey Braithwaite and joined Macquarie University's Faculty of Medicine and Health Sciences in November 2014. The Institute brought together three well-established and successful research centres that work in the separate but related areas of health services research, health informatics and health systems and safety. These are the Centre for Healthcare Resilience and Implementation Science directed by Professor Jeffrey Braithwaite, the Centre for Health Informatics directed by Professor Enrico Coiera and the Centre for Health Systems and Safety Research directed by Professor Johanna Westbrook. The Institute provides national and international leadership in developing innovative research-led solutions to healthcare systems by capitalising on the success of the existing Centres. It fashions linkages with external research agencies, policy bodies and healthcare provider organisations, creating a strong national capability in scholarly activities and forging sustainable relationships with international bodies and researchers. The Institute currently has almost 170 research staff, associates, national and international visiting professors and fellows, including up to 27 doctoral, masters or honours research students. It has experienced rapid growth and it is anticipated this will continue in the foreseeable future. The Institute is a multidisciplinary environment and operates with a philosophy of teamwork and mutual professional support and respect. We create a strong, inclusive environment for excellent scholarship, research activities and output. 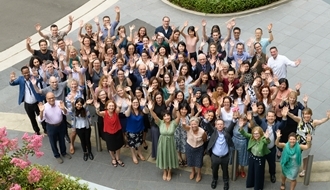 This is the largest grouping of health services researchers in Australia and one of the largest in the world. Our aim is to provide a productive culture and first class environment for health systems research, addressing critical issues arising in current health systems that cannot effectively be addressed by single-focus research centres. RT @MacquarieTedx : Save the date for #TEDxMQ2019 Sat 21 September 2019 @Macquarie_Uni ! Speakers and performers will be announced soon.